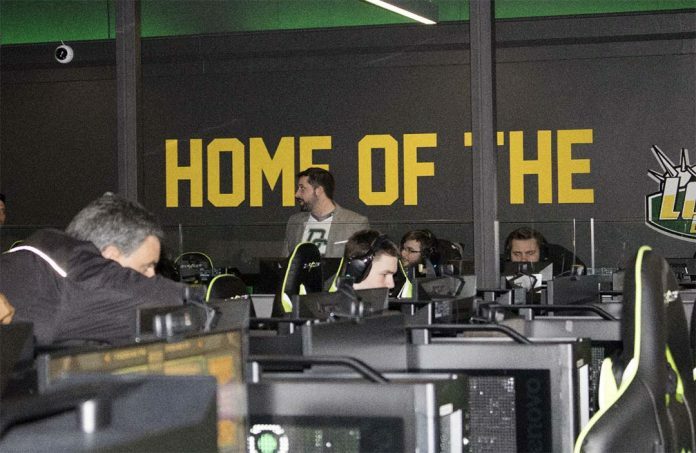 Durham College’s first ever esports tournament is a week away. The event called, Durham College E-sports Classic Run, takes place April 5 on the Oshawa campus, at the brand new e-sports arena. The event is hosted by second-year sport management students for course credit. “This is the first big event at the e-sports arena, as the arena [officially] opens April 2, on Tuesday. We’re really excited that we’ll be the first students to get in,” says Erik Ramsey, co-chair of the event’s marketing. Originally, sport management students planned on having multiple sessions, but are now planning to have one or two. There is a 2-4 p.m. session now available online to sign up for at Eventbrite. Durham College students only can sign up for $5 per session, says Ramsey. “When students walk in, there will be 40 different, high-level gaming PCs up and running with Fortnite. We’re just going to go through as many rounds as possible throughout the hour and forty minutes of the [session],” says Ramsey. When gamers are eliminated, there will be a waiting area where they can sit and talk. There will also be other games on consoles they can play, says Ramsey. No food or drink will be allowed in the arena to protect the gaming systems, says Ramsey. The beneficiary of the event is Autism Home Base Durham, says Ramsey.